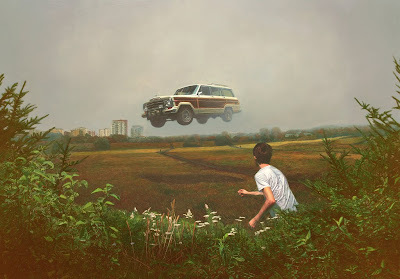 If It's Hip, It's Here (Archives): Recent Realism Paintings Of Fabricated American Landscapes By Alex Roulette. 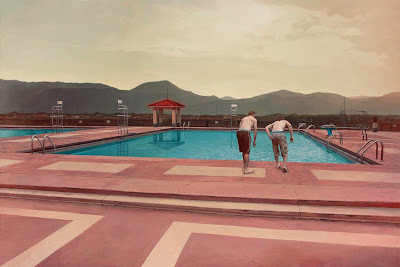 Recent Realism Paintings Of Fabricated American Landscapes By Alex Roulette. 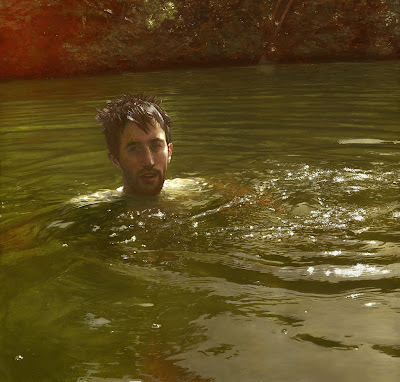 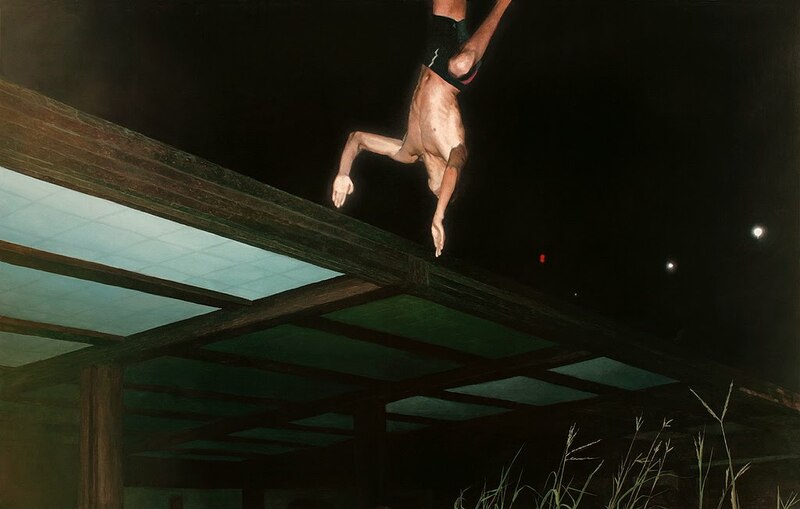 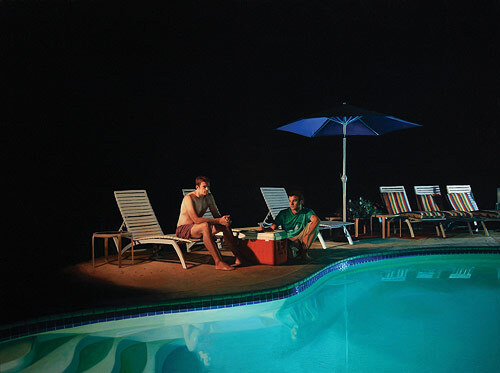 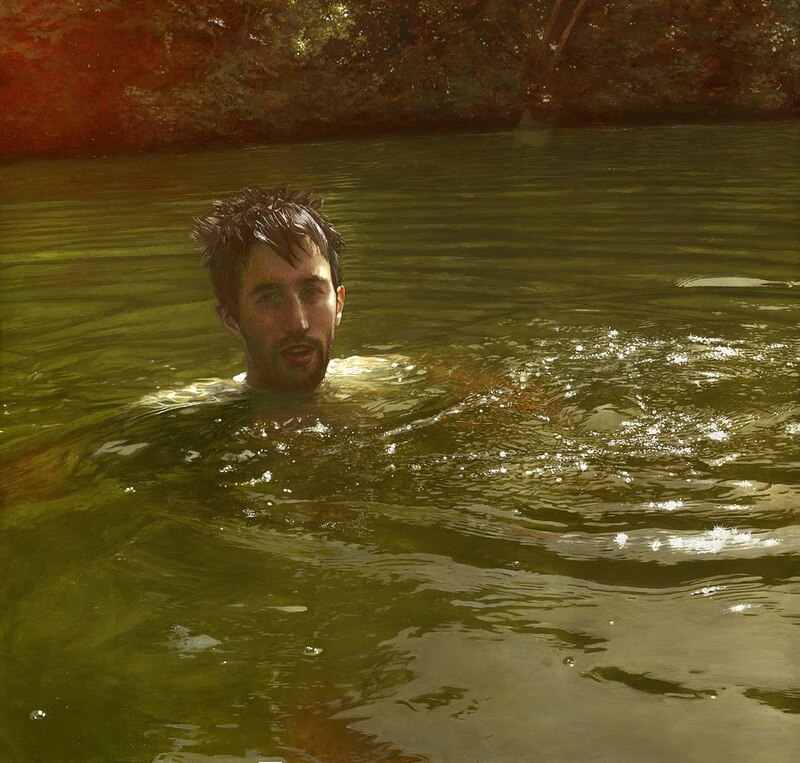 I first noticed Alex Roulette's impressive realism with his 2008 painting, Summer (shown below), which caught my eye because I have a thing for pool paintings. 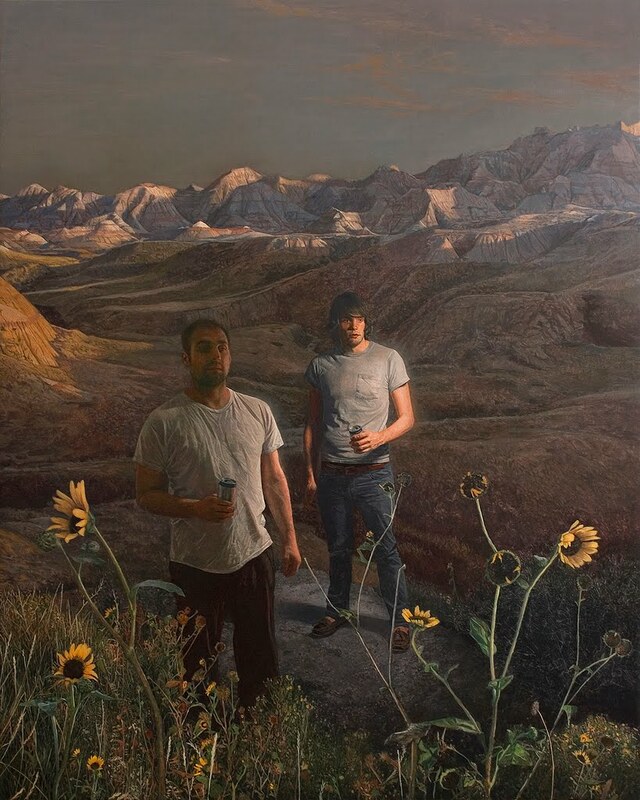 This past year, Alex had a solo exhibition called Fabricated Realism at the George Billis Gallery in New York in which the 2010 paintings in this post were shown. 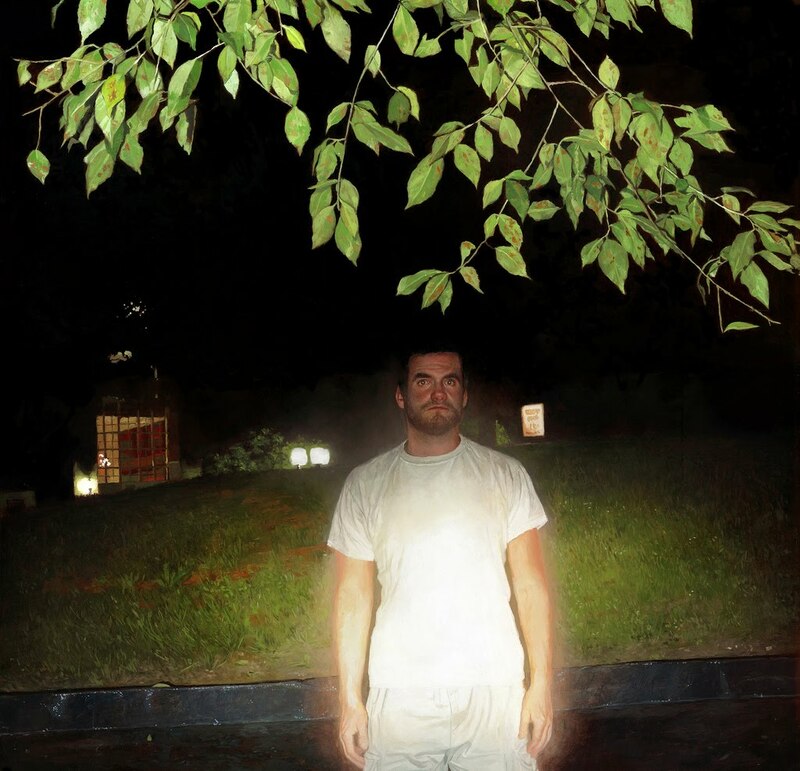 His work continues to have great aesthetic appeal and in 2010, Alex played more with unusual light sources and effects in his work. Sun flares, reflections, snowflakes and other natural and fabricated lighting replaces the strong shadows prevalent in his 2007-2008 work. 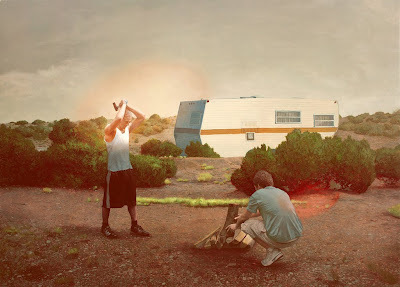 The artists statement about his recent work: "Fabricated Realism"
My current series of paintings depict fabricated American landscapes. The invented landscapes arise from archetypal citations of past and present cultural influences. Placing figures into these landscapes is an attempt to take advantage of the viewer’s natural ability to extrapolate narratives. By creating the paintings using a conjuncture of various photographic references, I continue to explore the distinctions between photographic and painted space. 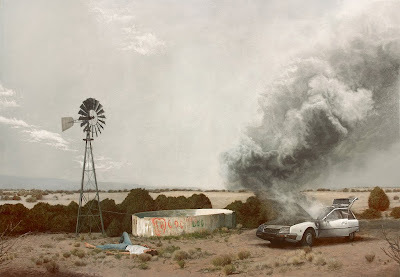 The disjointed nature of the source images, contrasting with the way they are realistically unified, take on a contingent sense of reality. 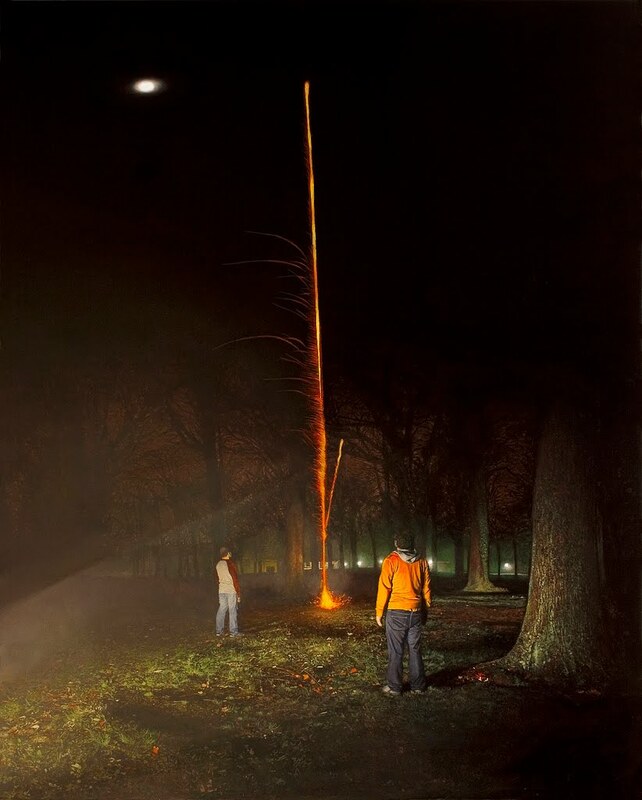 Inventing landscapes allow memories of places and events to be fictionalized. 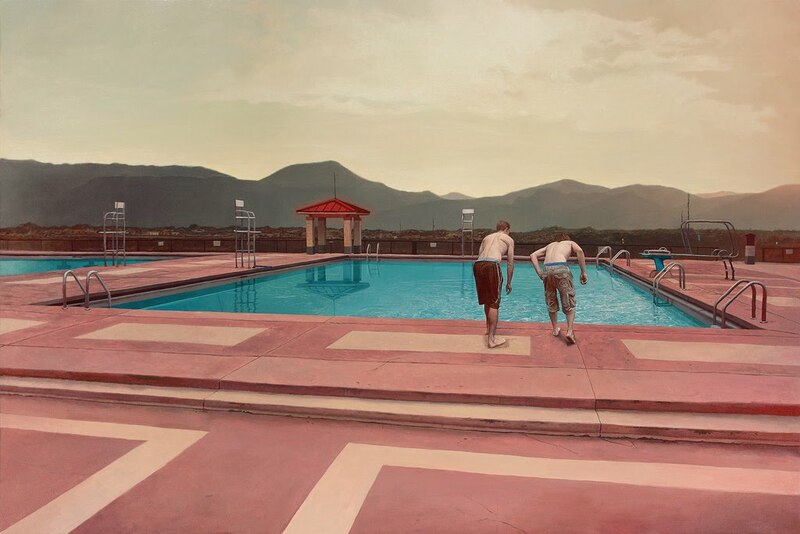 Coalescing unrelated photographs is done in a way comparable to the process in which the mind synthesizes images when recollecting memories or imagining new images. As opposed to culling images from an abstract memory bank, I utilized tangible sources, many of which come from the vast image resources our contemporary culture offers. 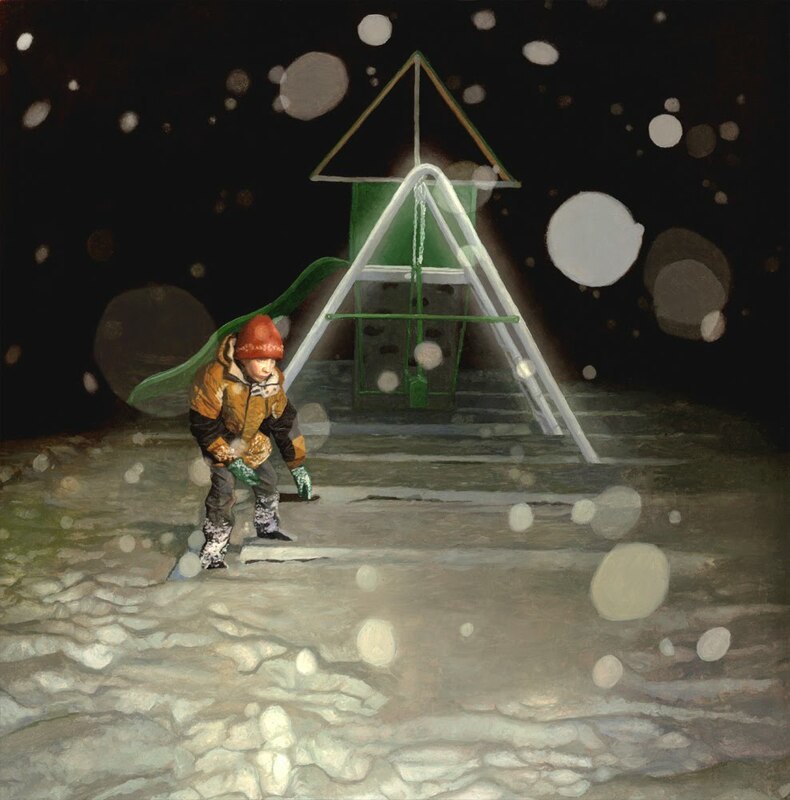 The current expanding abundance of accessible images is allowing the imagination to expand the ability to visualize unseen places.